When you’re ready to decorate your home, it’s important to have a cohesive design plan. Use these 7 tips to create a home that looks pulled together and polished. Are you ready to decorate your home? Not many of us have the opportunity to decorate our entire home all at once. 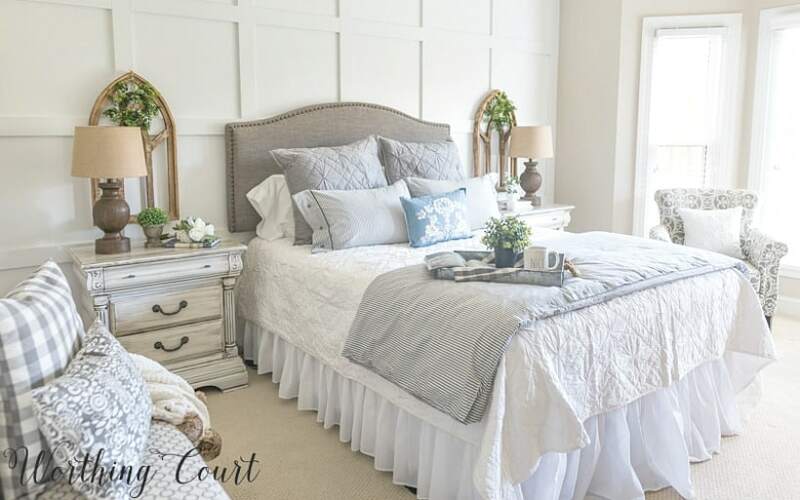 Whether starting from scratch or refreshing and redecorating, most of us tend to work on our homes one room at a time, as budget and time allow. Throughout the process, it’s important to remember that your home will look its best (an you’ll be happier with the outcome) if you have a cohesive flow from one room to another. These tips will help you to get that look, even when you’re only working on your home a little bit at a time. Before you do anything, make sure you’re thinking of your home in terms of being a whole space instead of just a collection of individual rooms. If you don’t, you may wind up with a home filled with disjointed and disconnected rooms. In other words, don’t only think about how you’re going to decorate your living room. Think about how it will tie into the dining room, kitchen and the rest of the space. 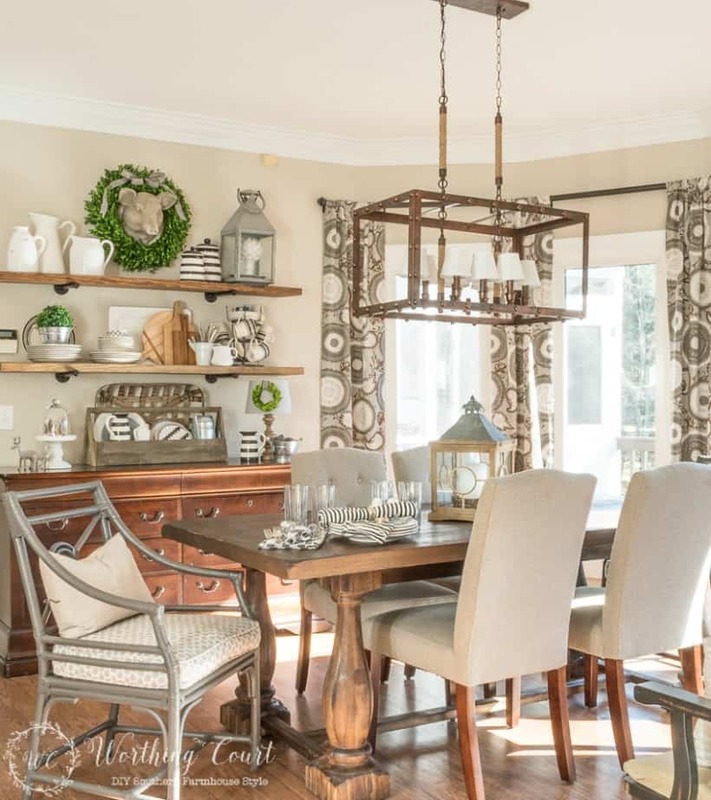 By theme, I mean style – modern, farmhouse, traditional, coastal, etc. Don’t switch styles from one room to the next or you’ll wind up with a home that looks chopped up and a bit chaotic. That doesn’t mean that you can’t mix styles together. For example, if you love modern and you love coastal too, be sure to use some of both styles in all of your rooms. Don’t have one modern room that joins onto a coastal style room, for example. 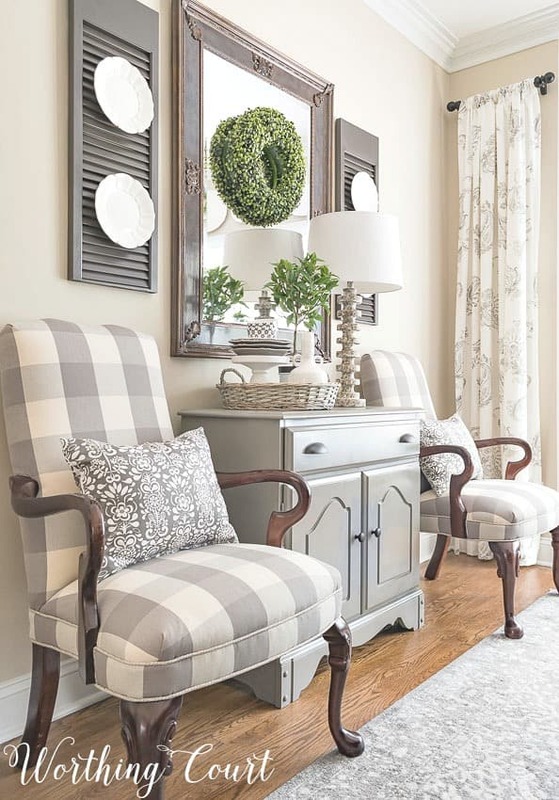 For maximum visual flow and connectivity when you decorate your home, make sure to coordinate or match the wall color throughout your home. Walls in completely open spaces or spaces with large openings should be painted the same color or with a close shade of the same color. But – if you can close the door to a room, then you can paint it a different color. Use a color that compliments the other spaces and be sure to repeat some shade of that different color in the rest of the rooms. Furniture, draperies, rugs, pillow and accessories are easy ways to repeat color between rooms. 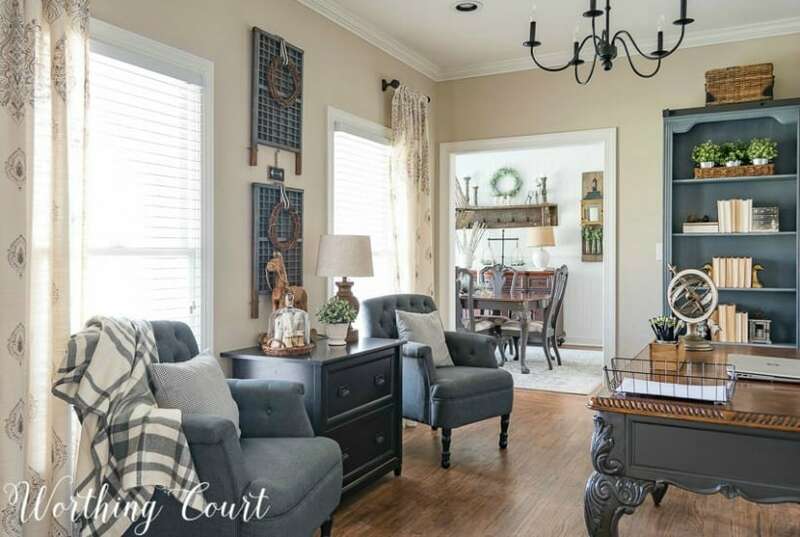 When you get to the stage of life where you don’t constantly have spills and messes from little ones, it’s time to think of your furniture choices an investment. I’ve learned the hard way that buying really inexpensive furniture pieces, that get daily use, is really a waste of money in the long run. I can’t begin to tell you how many sofas and chairs I’ve replaced over the years all because I thought I was getting a great “deal”. I finally wised up and invested in a rather pricey sofa that gets used by multiple people for hours every single day. I’ve had my current sofa for over fifteen years and it’s getting ready for its forth re-upholstery job! 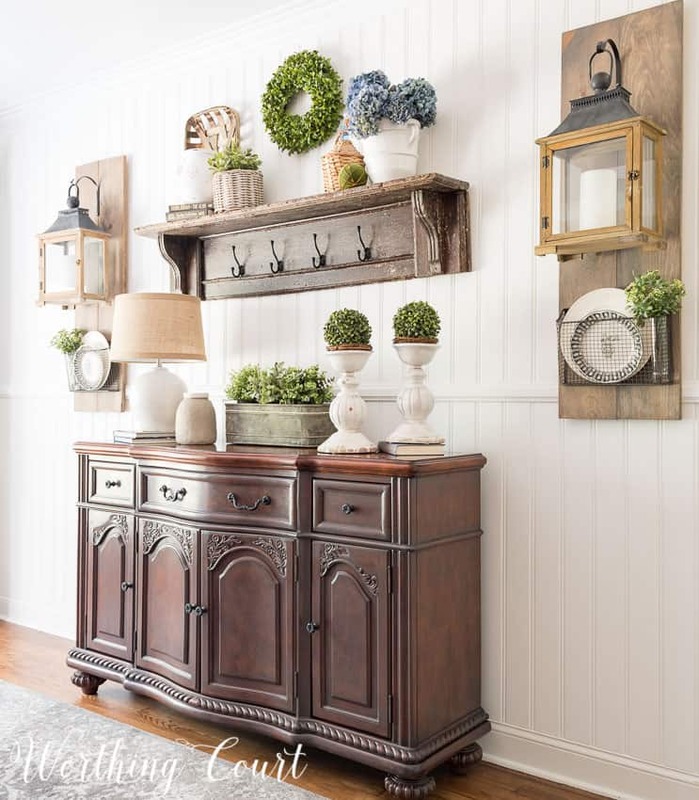 Unless you want your home to feel like a staged model home with no warmth and character, it’s a great idea to mix a little bit of the old with the new. Whether it’s furniture or accessories, pieces with age give a home personality and a sense of history. Take advantage of every bit of natural light flowing through your windows. Having an abundance of natural light goes a long way toward creating a sense of well being. Ever been cooped up in a dark room for a long period of time? Then you know what I’m talking about. Hang any window treatments higher and wider than the trim around the window to allow as much natural light as possible into the space. Above all else, make sure that you decorate your home with things you love. You can follow all of the design rules in the world, but if you don’t love the colors, furniture and the rest of the items in your home, you’ll never be happy. I believe that if you’re careful to stick to your own style and only use what you love, somehow it will all work together. Wow, you really nailed down some of the things I have spend years trying to accomplish. Now that it is readable it will help when we make our next move. How did you ever come to these conclusions? 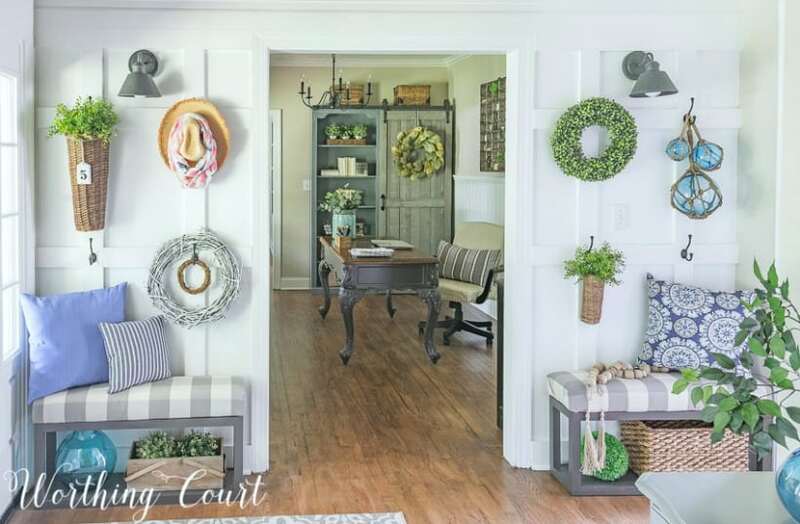 Did you take courses in decorating? You are the best. Excellent advice. Your home is so well put together. Great advice! I love your decorating style. Your home is so warm and inviting. Decorating your home with things you love is so important because it tells anyone visiting a story of who you are. I have been it beautifully decorated homes but they were void of personality and had that showroom staged room look. Our family loves gardening ,,nature, reading, good food and pets and it is all reflected in our home. You have the most beautiful home, love your style. Follow you daily and reread post all the time. May have even ask this question before but not sure I got an answer, knowing you I’m sure I did but can’t find it. Love the long basket with the number 5 hanging from it. Could you please, please give me a hint as to where I might find it. I’ll try not to loose it this time. Hi Martha. I found the basket at a local home decor shop. I added the wooden number 5 tag to it myself. The tag was in a package of numbered tags that I picked up at either Michael’s or Hobby Lobby. I’ve never been able to find baskets like this one online, but I love the metal ones too. 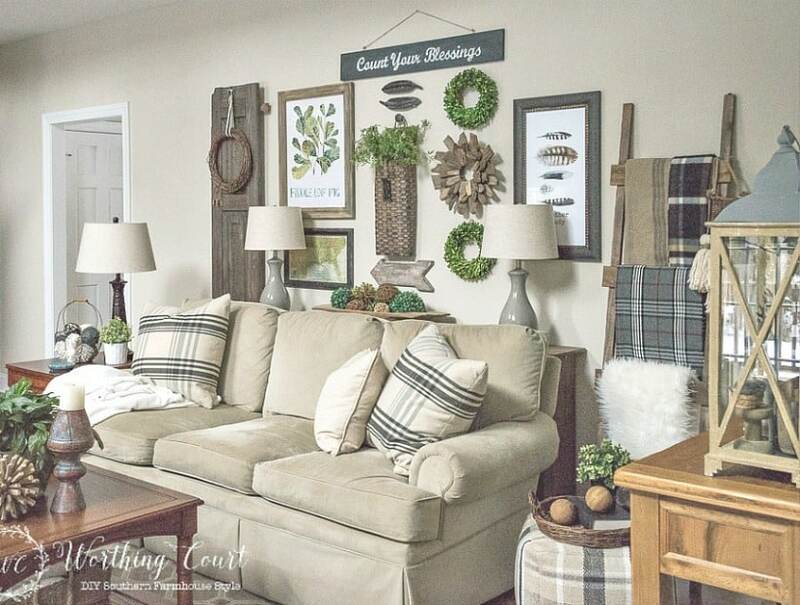 You might like the one in this link from Wayfair: https://rstyle.me/n/c6keusb7z57 . Thanks so much! Look forward to your Post each day. 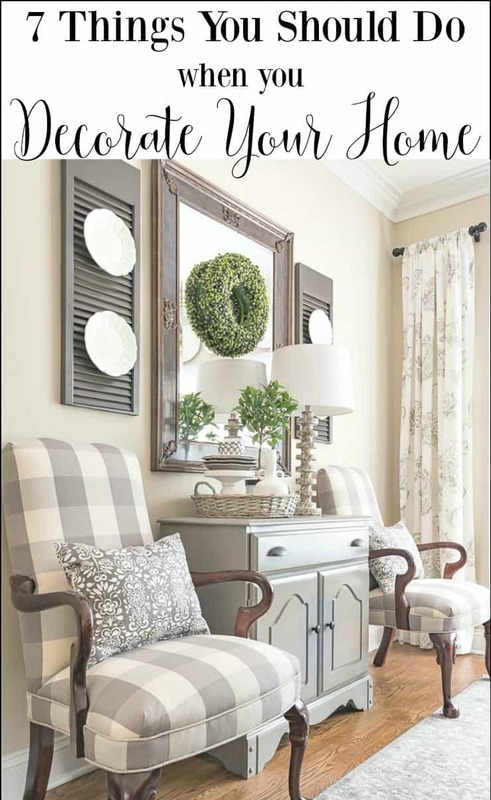 The Taupe plaid fabric on your chairs? I love them. Where did you find that fabric?? Beautiful home. 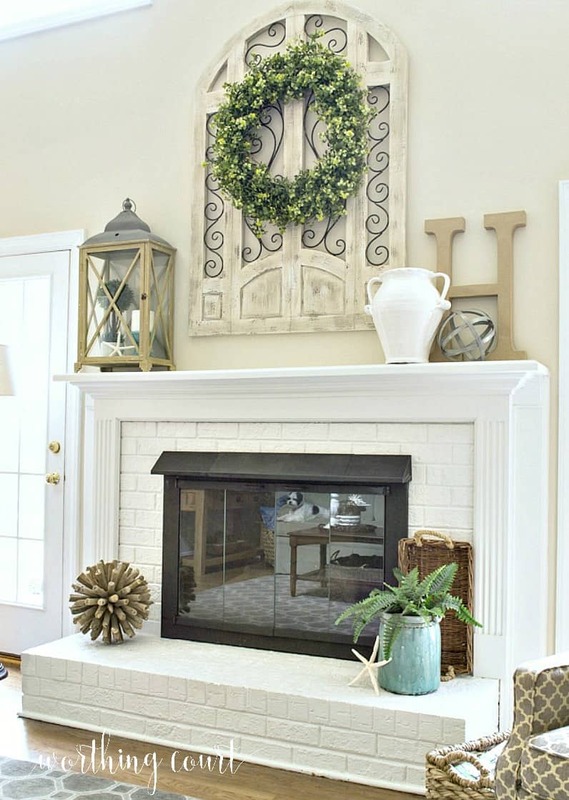 I love the thing hanging above the fire place with the wreath on it, where did you find that? I have been looking for things like that with the old world style look! I love the tufted side chairs in the office. Where did you find those? They’re beautiful and they look comfy! Hi Jenny. Here’s the link to the chairs that you’re asking about: https://rstyle.me/n/de7q78b7z57 . It says they’re currently out of stock, but you can sign up to get an email alert when they’re available again. I’ll tell you that they’re comfortable as an office side chair, but they’re pretty firm, so I don’t know how they’d be for extended-time seating.